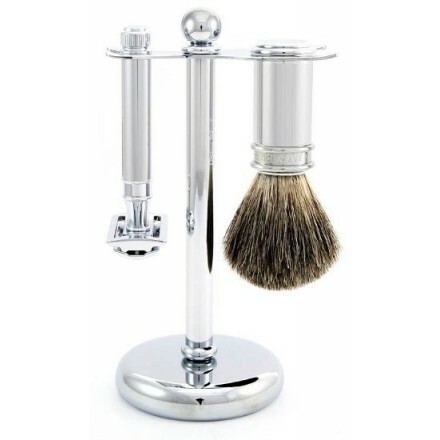 Three piece set comprising of Double edge Safety razor, pure badger shving brush, with stand, chrome metal plated includes one pack of 5 spare blades. Wonderful gift that will compliment any bathroom. 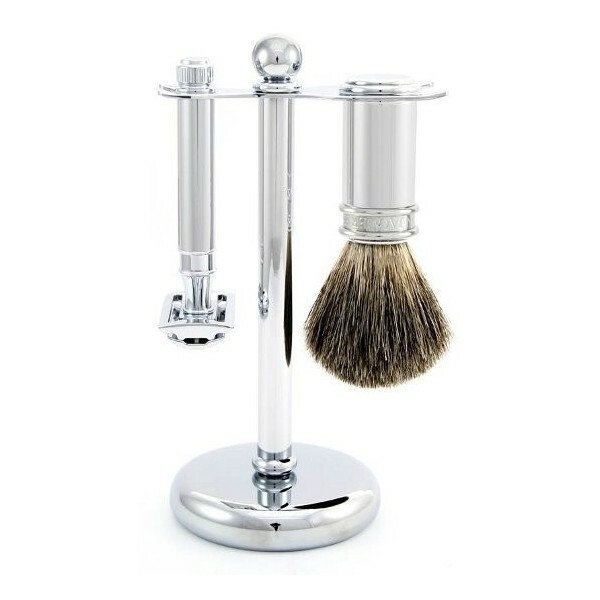 Classic shaving set, hand made in Sheffield from the finest steel. Our Edwin Jagger products are of the highest quality. A perfect gift as the blades for this razor are inexpensive and readily available from chemists and supermarkets. Stands approximately 6 inches tall (15cm) and approx 4 inches wide (10cm). Comes gift boxed and of course beautifully gift wrapped. Free standard delivery to the UK.